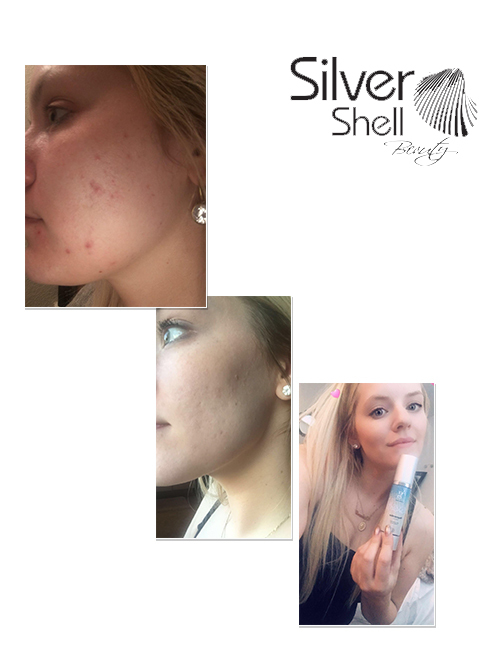 Stephanie from Virginia was having some problems with some #FaceAcne and got word from here friend how our Silver Shell Beauty Regenerative Serum has helped with her Face Acne and blemishes. Stephanie reached out to us for a sample to try and the rest is history. In 2 weeks’ time you can see the progress he skin has made from using our Serum. Her application process was twice a day once in morning after washing face and at night before bed. She told us “My skin is clearing up very nice and I just love what the serum has done for my skin and my acne. My skin feels amazing; I would definitely recommend! You will Love.” The Silver Chitosan in our Serum truly helps get rid of that dead skin and gives you that glow you always wanted!! !